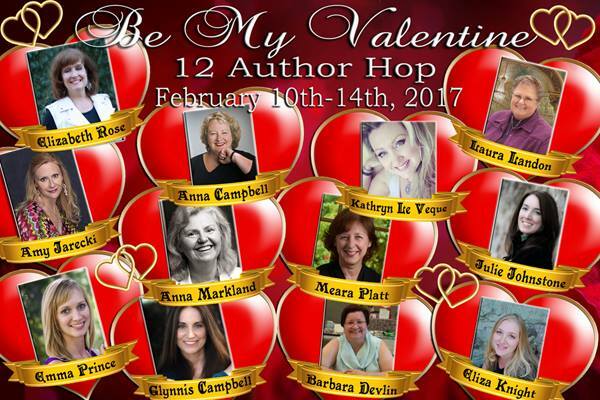 This hop runs from February 10-14, so be sure to scroll down for links to every author so you can enter to win! 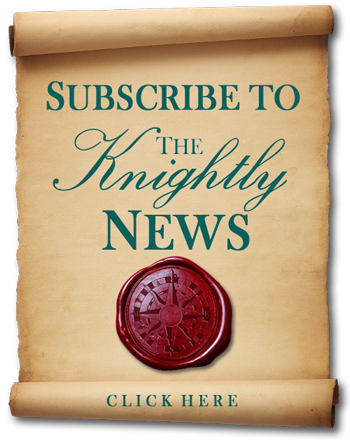 I am so thrilled to participate in this lovely blog hop with some of my closest author friends and bring to you a little bit about one of my favorite Nautionnier Knights, Damian Seymour, the Duke of Weston, as he woos Miss Lucilla Teversham. It’s always fun to bring another hero to his knees, as he pursues the woman of his dreams, only to have her thwart him, at every turn, but love finds a way to bring them together, in the end. 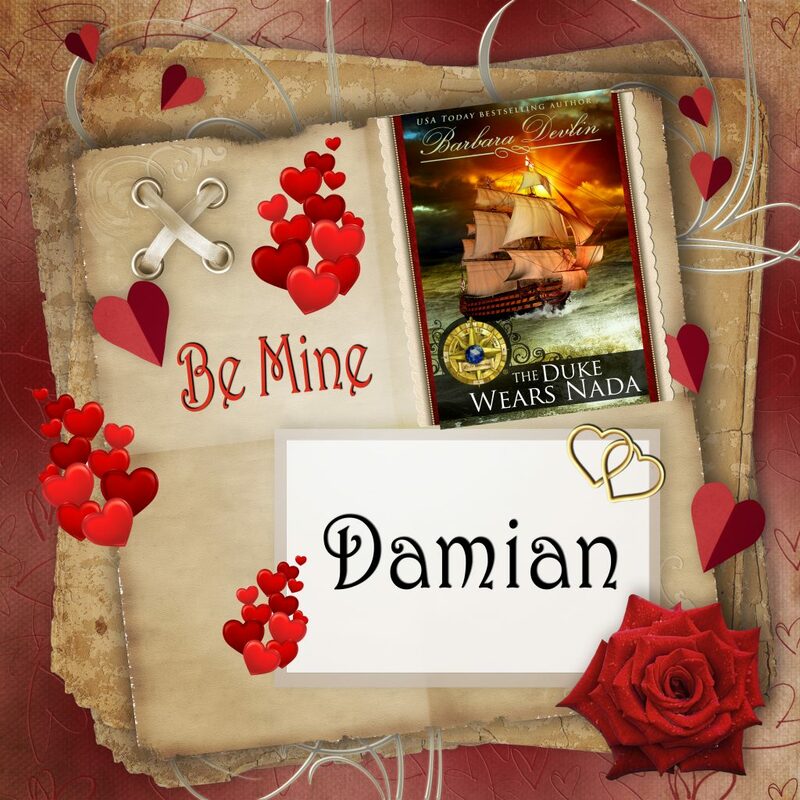 His Grace, Damian Seymour, the duke of Weston, cordially invites you to his wedding…if only he can get his chosen bride to the altar. Miss Lucilla Teversham is a lighthearted soul with an intrepid spirit and an inherent love of books. After surviving a horrible crime, she conceals a dark secret, abandons her hobby and England in favor of life in America, and plunges headlong into the world, vowing to partake of various adventures and not just read about them. When Lucy is summoned to London to testify against the ruthless criminal who destroyed her youthful naïveté, she must also address unresolved feelings for a certain dashing Nautionnier Knight. But can her beau help her confront the demons of her past, to find happiness with him? His Grace, Damian Seymour, is known throughout the ton as the voice of reason. In all things, he seeks order and tranquility. After he falls for his best friend’s sister-in-law, a hoydenish young woman he cannot resist, he plans his pursuit with customary care and precision. Of course, the unpredictable lady does not cooperate, so Damian must plot a new tack, with Lucy in his sights. When she divulges a shocking truth, he must abandon the logic that defines his character and embrace a new path, which just might lead to ruin. In addition to the hop prizes, I’m giving away a Kindle Fire 7″ and an e-copy of The Duke Wears Nada to one lucky winner, right here. What do you have to do to win? Tell me about the best Valentine gift you ever received. 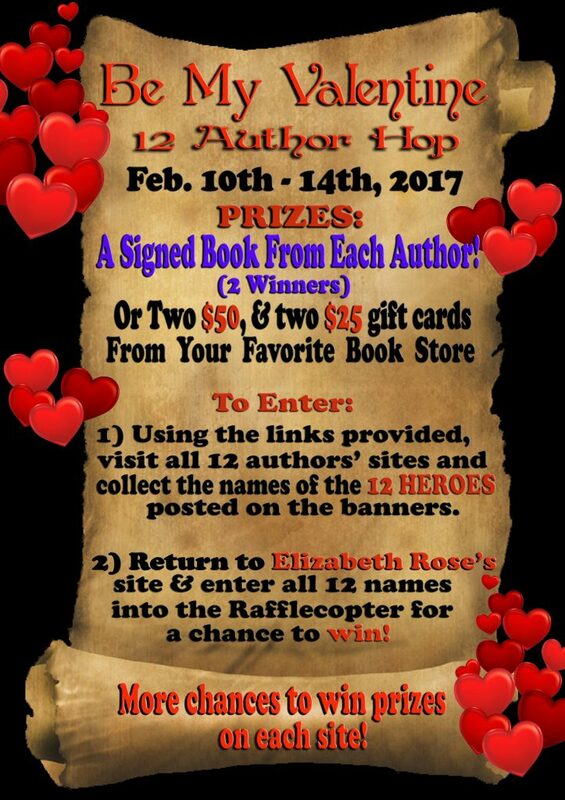 Be sure to visit all twelve author’s pages and enter for your chance to win great prizes! 1996 I was reading the Heart Shaped Valentine ads people put in to the paper for their loved ones like I do every year and there was one with my picture in it… it said would you marry me?! and he had a heart shaped diamond ring waiting for my answer….. second best was in 2000 he bought me a Jeep Grand Cherokee Laredo… because i’d never had a brand new vehicle and he felt it was time. (signed it away a year ago for daughter to trade in for her first brand new car because it was old and I can’t drive out of town anymore since the strokes… I get too tired and stuff but it was fun while it lasted. The best Valentine’s gift I ever received was the first Valentine’s card that my daughter ever made for me, crooked letters and all. The best valentine gift I ever received was from my hubby just before our 15th anniversary. Money had always been tight so we had never exchanged gifts for our anniversary before. But this time was different. He got down on his knees in front of me and flipped open a little velvet box that had a ring with 15 teensy diamonds on it (in a band formation)…and he said, “Will you be my only valentine for 15 more years like the last ones?” I just about cried at how romantic it was and that he had been emotional for just about the first time ever. Wow! Loved that Valentine’s Day for sure! The best gift was a box of candy that my sister saved her lunch money to buy for me. It was so sweet. Aw, Rachel, how thoughtful of her. I have two baby sisters that I raised, and they’re my girls. I’d do anything for them. Janice, that’s romance, right there. It’s hard to pick one since he gave me so many traditional gifts (jewelry, lingerie, etc.) over the years, but the one I remember most was the microwave oven! This was the early 1980s so they weren’t common as dirt back then. It was romantic because he knew I hated to cook and he was trying to make it easier on me. But I admit I asked him not to get any more appliances for “holidays” ever again and he didn’t. My favorite Valentine’s gift I’ve received would probably be a bag of shortbread hearts with red sprinkles that my mother gave to me. I was probably in elementary school and from all the television shows and movies I had seen I figured I was supposed to have a Valentine. Well, since I didn’t, I sat in my room, ate the bag of cookies, and cried since I figured that’s what I was supposed to do, haha. In all honesty I hadn’t even wanted a Valentine! I have no idea why I remember that, but I do remember how good those cookies were! My granddaughter Harper Rose. I had 4 boys so having a baby girl was extra special. The best Valentine’s gift I ever received was a very cute red teddy bear holding a red shiny heart. I fostered a miniature pincher for a shelter near me and I fell in love with him I and ready had 2 dogs and everyone said I dint need another, so I kept him for a month till they called and said it was time to bring Dingo in. The shelter was sending him to a rescue group in Wisconsin. I took him to them and cried all the way there and back home. I cried for 2 week’s after I had written the rescue a letter telling them how wonderful he was and sometimes he will panic around strangers, all they’d need to do is hold him and make sure he knew he was loved. Well going on the 3rd week I was still crying but not as much, Valentines was coming up and a few days before Valentines my best friend walked in my house and said I have a surprise for you, he took me outside and sitting on my porch was Dingo. He had gone all the way to Wisconsin and all opted Dingo for me. I was so so happy. I thank God everyday for my friend and my furbabbies. My best gift was from my daughter who handmade a red heart with the words “I love you Mom” I still have it up on our fridge today! My best Valentine’s gift ever was a trip to Quebec…we stayed for a week and even rode in a horse-drawn carriage. It was wonderful and romantic. I would say it will actually be this year. I have an all expenses paid trip to England to visit my fiance. Granted, I’m not actually flying until March, but still the best present ever!! My parents took me to a local cat show so I could choose a pet of my one. The moment I spotted Misty I was in love. We had 18 wonderful years together. I think my best Valentine’s Gift was finding out I was pregnant! I lost the diamond out of my engagement ring three years into our marriage. Twenty five years later my husband replaced it as a Valentine’s Day present. My best Valentine gift I received is time with dear friends. The best Valentine’s Day gift I ever received was a single red rose from a secret admirer at work. I never found out who it was, but they made my day. I know this sounds really sad but I have never really gotten a Valentines gift! A Kindle would be awesome. My best Valentine’s gift was when my husband cooked me a delicious and romantic dinner. A beautiful card from an unknown admirer when I was feeling very down! My best Valentine’s gift was when my daughter was a baby. My daughter crawled for the fist time that day. The same day my hubby let me take a long nap and gave me a big box of chocolate. It was a very nice day. My best Valentine’s gift was the box of candy, the man who would become my husband gave me a few days prior to Valentine’s Day when he got up enough nerve to ask me out. Any and all valentines my hubby has given me over the last 20 years! A huge box of chocolate, a very large valentines card and dinner out. Last year I actually received two awesome Valentine’s day presents. The first was from my 21 year old son. He knew that I was going through a rough time and he sent me a box from college. In it was a wonderful heartfelt Valentine’s day card that made me laugh and cry. He mentioned how we always went to Disney movies together and he included a large stuffed animal of Dumbo. When I am feeling down, I hug Dumbo and things seem a little bit better. For over 25 years, my husband has made me dinner on Valentine’s day. However, for the last Valentine’s day, we were going to be on the island of Nevis. He surprised me by arranging for a dive and dine at the Four Seasons. We are both SCUBA divers, and that morning we went out with the boat crew and the sous chef from the hotel. We were able to catch several lion fish and lobster which the chef prepared for us in a private cabana along with a cooking lesson. We then had the cabana on the beach for the rest of the day with a wait staff. When it was getting close to sunset, they prepared beach chairs for us and brought us a platter of food and drinks to eat and sip while we sat on the beach and watched the sun set. It was one of the most romantic days of my life and a once in a lifetime experience. I will always remember that day with fond memories. My best Valentine’s Day gift was a romantic getaway at a lovely bed and breakfast near the ocean. Thanks for the fantastic giveaway!